These classic tablecoverings in the traditional Homespun pattern feature a simple beauty which stems from their heritage - the Appalachian Mountain homes of early America. 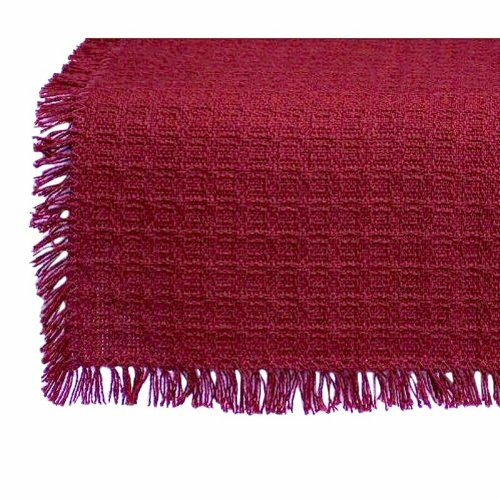 Loomed with the finest USA grown cotton and made in the mountains of Vermont, each napkin is individually cut and hand fringed, resulting in a top quality tablecovering suitable for any decor or occasion. Machine wash in cold water, line dry. IMPORTANT: Because of the natural fiber and weave, napkins WILL SHRINK about 5-6 percent with a cold water wash and line dry. With machine drying, expect about 10-12 percent shrinkage. Machine drying is not recommended.